Do you work for your automotive yourself? If yes then you know the value of good car jacks. 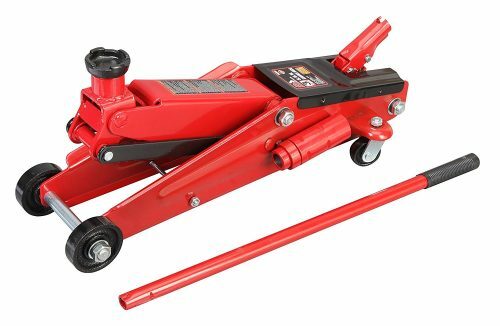 A good car jack is a great tool to have when you need to fix your car instantly. A car needs a lot of servicing and maintenance. 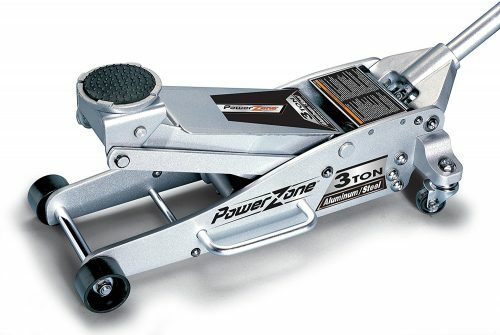 While buying a car jack, lots of things need to be kept in mind- is the jack lightweight? 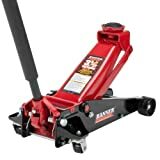 Is the jack needed for heavy duty jobs? Should it be of steel or aluminum? How much should the cost be? These are some of the questions that need to be asked before going for the perfect jack for your vehicle. Starting at number 10 we have the Torin Big Red Scissor Jack as the first car jack. 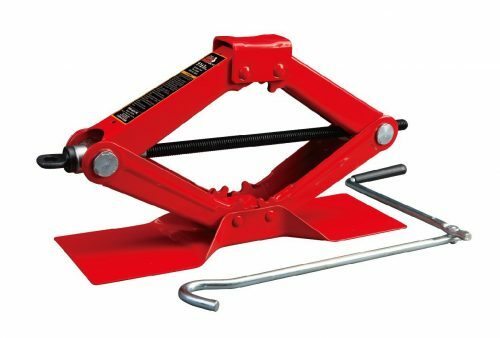 This is a scissor jack made of steel and is perfect for small cars and vehicles. The red color and the shape of the jack make it look really impressive. Additionally, the heavy-duty steel construction is perfect for ensuring durability and life. The large base saddle is helpful in providing stability to the product. The product is really small in size and can be easily stored. Torin is one of the best companies that design the most reliable and the best jacks in different sizes and types. Number 9 on our list is from the same company and is the Torin Big Red Steel Jack. This is a pair of two jack stands that can be put under any vehicle to lift it up. These are red colored jack stands that are small in size and can be easily kept in the trunk of the vehicle. They are made up of high-grade steel to ensure durability and high standards. The large saddle surface area is the best for better contact with the load. The welded frame design of the product adds to its durability. If you are looking for a jack that is portable and cost effective and works just like the heavy-duty products, the RhinoGear 11909ABMI is the best choice for you. This pack of two jacks is also a great option to save some cash. The jack is just like a portable ramp that can be fit under the car to lift it up. These can be used even with the huge 9-inch tiers vehicles. It lifts up to 12000 pounds of weight at one time. The shape of the product is designed to provide convenient access to the underside of the vehicle. Torin Hydraulic Bottle Jack is the number 7 on the lost and is the perfect choice for the people looking for a hydraulic bottle jack. 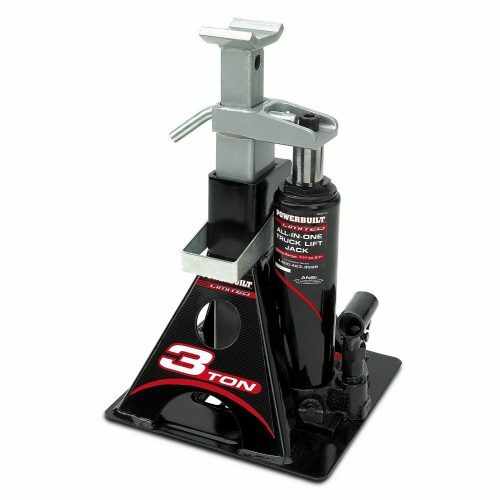 Torin is a famous company that produces jacks of all kinds, and this one is amongst their best products. It is a red colored bottle jack that is made of high-grade steel so that the product is durable. The aerospace technology is used in its engineering and design. The hydraulics of this jack is powered by high-quality oil. The capacity of the product is about 2 ton. 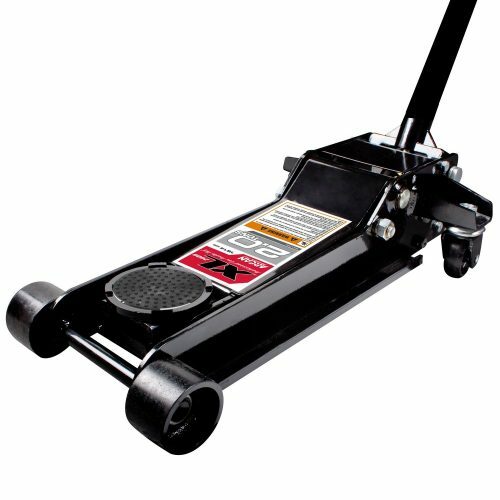 Next on our list of the top 10 car jacks is the Torin Hydraulic Trolley Floor Jack. 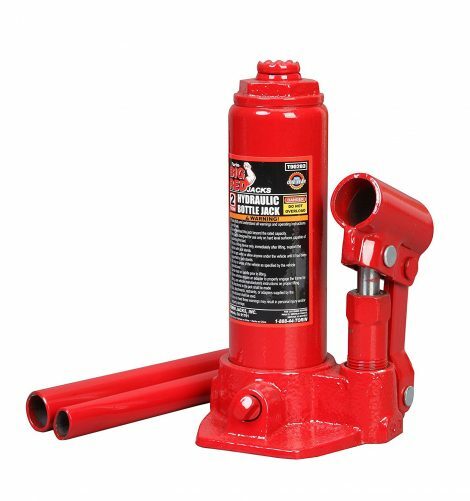 This is a heavy-duty car jack that can be used in cars of all sizes and shapes. The red colored jack has two wheels on the back and two on the front to ensure ease of movement. The jack is useful in small cars as well as SUVs. The jack can easily hold up to a capacity of 3 tonnes. The extra-long neck given in the jack saves time. The maximum lift range of the truck is 21 inches. To provide easy mobility, a 360-degree swivel caster is given. Powerbuilt 640912 with Jack Stand is on number 5 of our best car jack list and is the perfect fit for anyone looking for an extremely durable product for their cars. This is a bottle jack that comes with a stand. The color is black and is made up of stainless steel to ensure durability and ease in heavy lifting. The dimensions of the product are 9.75×9.75.12.25 inches. The safety bar given in the jack locks it at the desired height so that the user can easily work on it. The wide steel base is designed for providing stability under a lot of loads. The main purpose of a good jack is to be able to lift up the vehicle without any problems and also to make sure that the lifting is done fast. Both these features make the Blackhawk B6350 Fast Lift Service Jack. As the name suggests, this jack is red and black in color and has tires in the front and the back for ease in movements of the jack. The bypass device on the jack prevents over pumping. The safety valve prevents the machine from overloading and breaking. The heavy-duty steel used in the construction ensures durability. The Arcan XL20 Steel Service Jack is the perfect pick for all those people who want a portable car jack that can pick a normal weight and can also be easily stored in the trunk of the vehicle. This jack is designed in black and is small in size but can do all the work of a full-size jack. The jack is made of steel, and the tires in the front make it easy to move and carry around. The jack features dual pumping and rapid lifting of the cars. The safety valve given in the jack saves it from overloading and breaking. The maximum lift height of the vehicle is 18.5 inches. 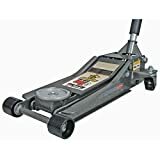 Pittsburgh Automotive 3 Steel Floor Jack with Rapid Pump Quick Lift comes on number 2 on our list of the best car jacks in 2019. This is one of the most used car jacks in the world. The design of the car jack is simple. It is grey in color and is made of heavy-duty steel that can be used for some heavy lifting of the vehicle. The jack is perfect for lifting things that are up to 3 ton in weight. The jack weighs about 80 pounds in weight, but the tires on it make moving easily to carry out. The number 1 on our list is the Powerzone 380044 3 Steel Garage, Jack. This is one of the best car jacks available in the market. It has all the qualities that a person would look in a jack. The jack is silver in color and is made of an aluminum frame that is light in weight but has the same durability as any other material. The sleek design of the jack is one of its attractive features. The jack can easily lift up to 6000 pounds of vehicle. Hence, it is a perfect fit even for huge vehicles. The hydraulic system lifts the weight quickly and saves the time for the user. The wheels at the rear of the jack help in easy positioning and the rubber padded saddle help in protecting the vehicle frame from any damage. Finding the right car jack for your daily use can be really frustrating when we look at all the choices on the internet. However, we are sure that you will be able to find the best one for you from the list above. This is because this list that we have compiled is a very comprehensive list based on the positives and negatives of all the car jacks in the market. They also take into consideration the reviews by previous users or customers to lend credibility to the products. Make sure you consider all the questions above and see whether the car jack is able to perform all the work that your vehicle might need. However, the most important thing is to make sure it will be portable enough for you to carry in the trunk of your vehicle. So, select from the list above and put all your car repair worries to the side.